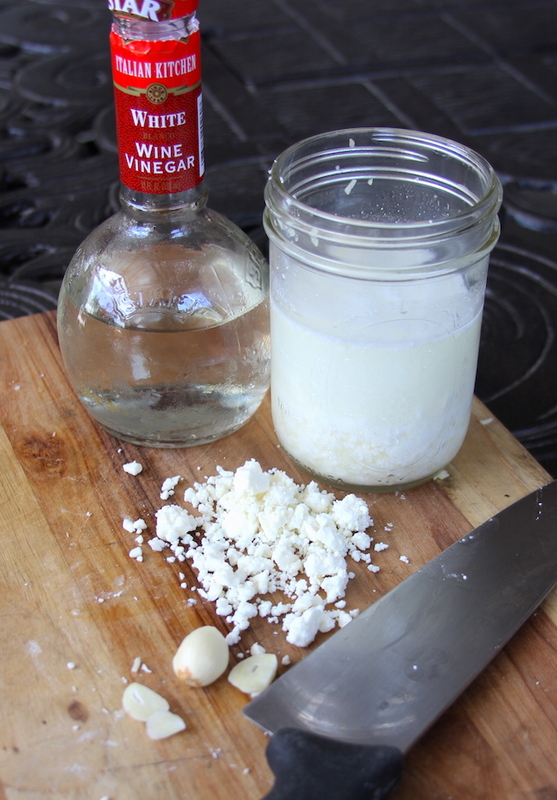 For the dip: mix together the vinegar, water, garlic, salt, and sugar. Add the feta to the mixture. Let sit half an hour. Strain the liquid from the solids. Discard the liquid. 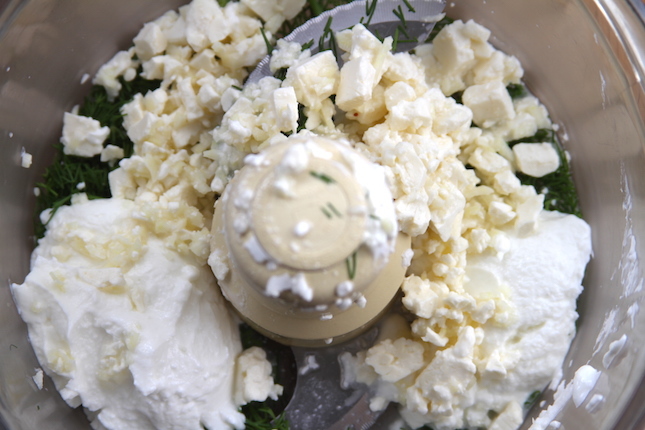 Place the feta, yogurt, garlic and dill in the food processor. Puree until creamy. Store in the refrigerator. Preheat your Yoder Smokers YS640 to 500ºF, set up for direct grilling, with GrillGrates. Quarter the cucumbers lengthwise into spears. In a bowl, whisk together the vinegar, olive oil, garlic, and salt. 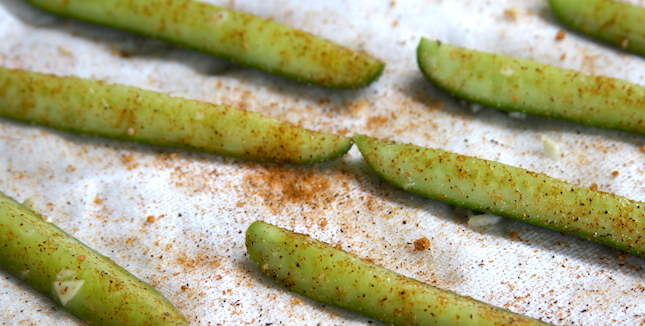 Add in the cucumbers and toss to coat. Marinate 15 minutes. 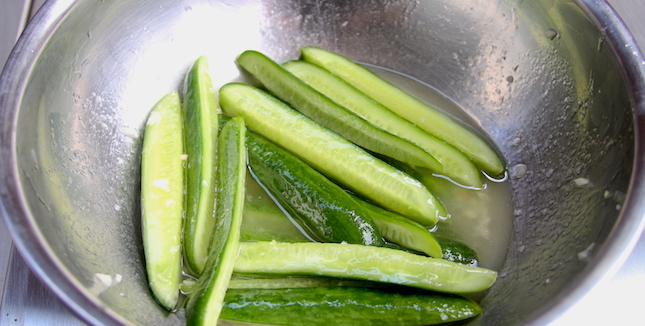 Remove the cucumbers from the marinade. Pat dry with a paper towel. Season with House of Q House BBQ Rub. 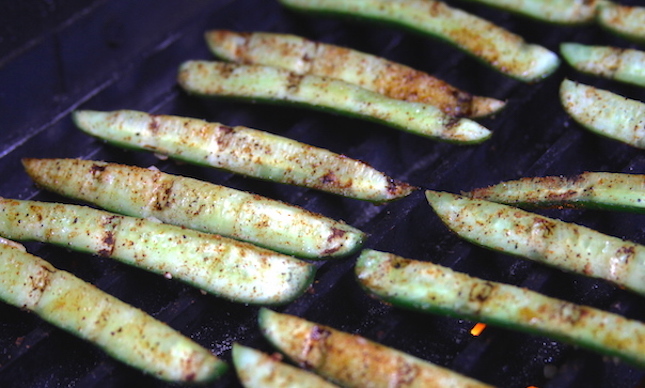 Grill the cucumbers on all sides to give some color, but not so long that they become completely softened, about 5-10 minutes. 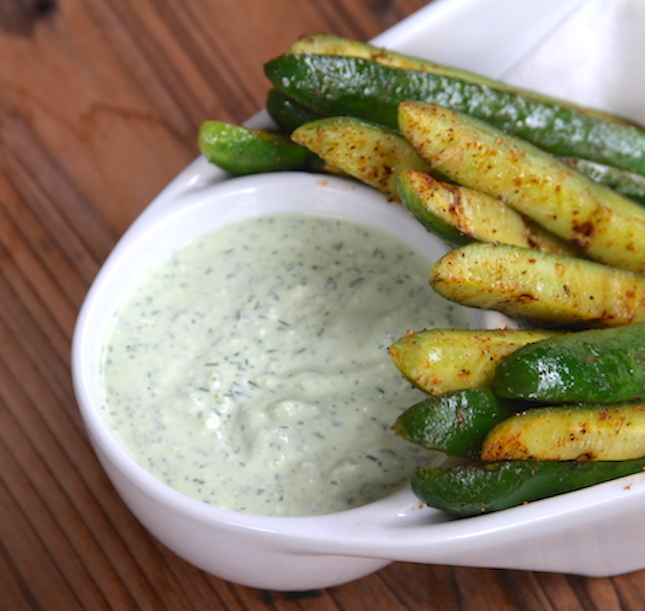 Serve the cucumbers alongside the feta dip.